Outstanding Clinical Guidance, Abington Memorial Hospital, School of Radiologic Technology (Classes 2005, 2006, and 2007). American College of Radiology, Radiological Society of North America, American Roentgen Ray Society, Berks County Medical Society. 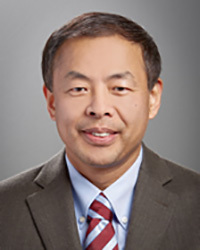 Dr. Ge joined WRRA in August, 2011. His expertise lies in CT, body MRI, ultrasound, and abdominal intervention. Dr. Ge has been a practicing radiologist since 2002.